If you’ve ever wanted to know if blondes really do have more fun, red heads are more spontaneous, brunettes are best friend material (hey, it’s science)—or just cover up those pesky grays—don’t assume you have to go to your local salon. Instead, you can drive straight to the drugstore. 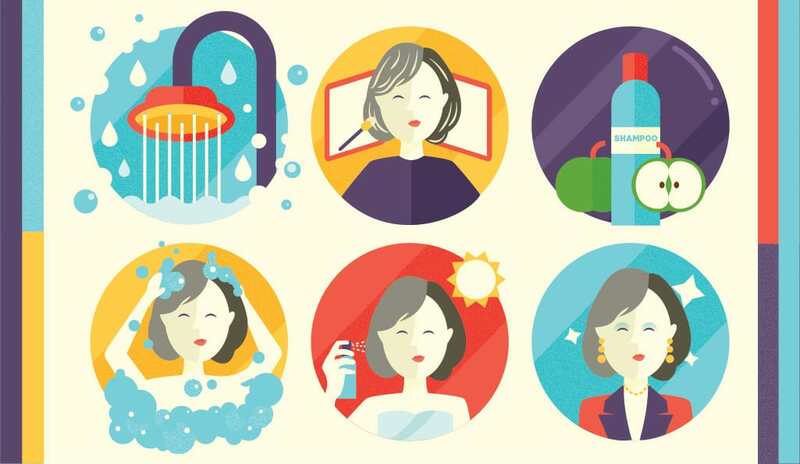 At-home treatments have come a long way since those cringe-worthy Clairol commercials. The best products now offer questionnaires to help consumers choose the right shade, and there’s more accessibility to professional secrets. We’ve rounded all that up here so you can accomplish professional-looking hair without having to break the bank. Finding a new or close-to-your-own hair color can be overwhelming. The general rule of thumb is to choose a color that’s only two to three shades lighter or darker than your natural color. 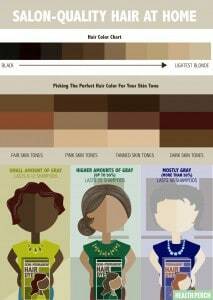 Another trick is to find color advice from your jewelry, says hair colorist Marie Robinson. “If you look better in silver or platinum, you’ll look better in ash tones. If gold is more flattering, try reds or caramels,” she says. Pro tip: Red hues tend to be much more vibrant than advertised, so erring on the lighter side will likely result in the desired shade. Unless you have longer hair or wish to go darker, you’ll only need one box of hair dye product; if either of those cases exist, you may need two. “This helps provide even results since your ends are more porous and grab color more quickly,” says Rachel Bodt, colorist for Cutler/Redken Salons. Before you buy: Check the box’s expiration date. “Color oxidizes over time, meaning the pigments may have already started to develop,” says Carlos Rodriguez, senior colorist at Sally Hershberger Salon in Los Angeles. You’ll also need a bowl to mix the color, plastic gloves (if not included) for application, a button-down shirt or towel you don’t mind getting dirty, petroleum jelly to prevent staining around the crown of your head, another towel to clean up spills, and a comb and hair clips to separate and piece back hair as you dye separate sections. 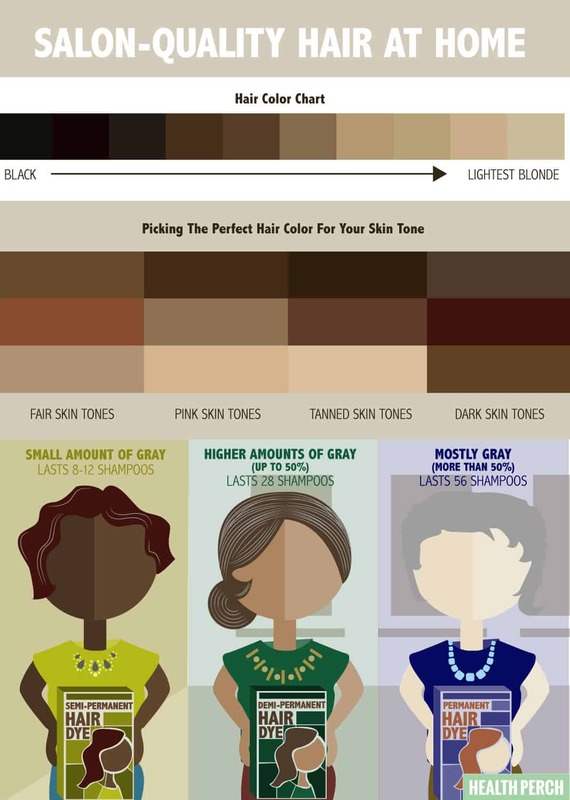 If your goal is to cover up grays, here is an easy guide to finding the perfect type of dye. Then, simply follow the product’s directions. Don’t wash your hair on dye day. Washing strips strands of the essential oils needed to absorb the color. 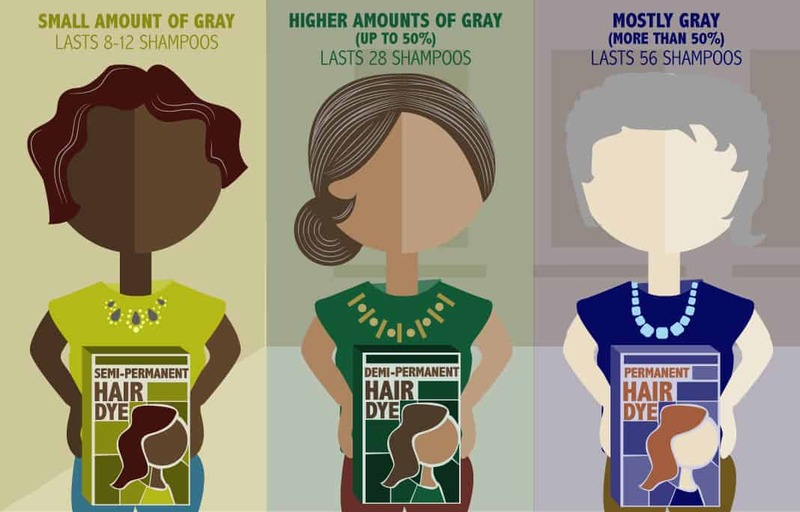 Most experts actually suggest waiting to dye up to 48 hours after your last wash. Follow all the steps, and don’t just “paint” your hair. You risk regrowth and grays when you don’t massage the color right into the scalp. If you want to completely change color—go from brunette to blonde, for example—you might want to save your dye job for the pros, since it’s an extensive process. Invest in color protective products. Those shampoos and conditioners are more gentle and enriching than your standard shampoo. Despite these tips, tricks, and directions, something may still go wrong. Don’t panic. If your hair turned out too dark, wait at least 24 hours, then wash your hair with your regular shampoo and a teaspoon of baking soda, suggests celebrity colorist Beth Minardi. Let it sit for 15 minutes before rinsing. If your hair turned out too light, Minardi suggests painting individual strands in a new shade of caramel, butterscotch or suede. As for uncovered grays, choose a cream, demi-permanent hair color that will enhance your natural hue.